Organization and Trevor Sadler, CEO, InterCaribbean Airways. 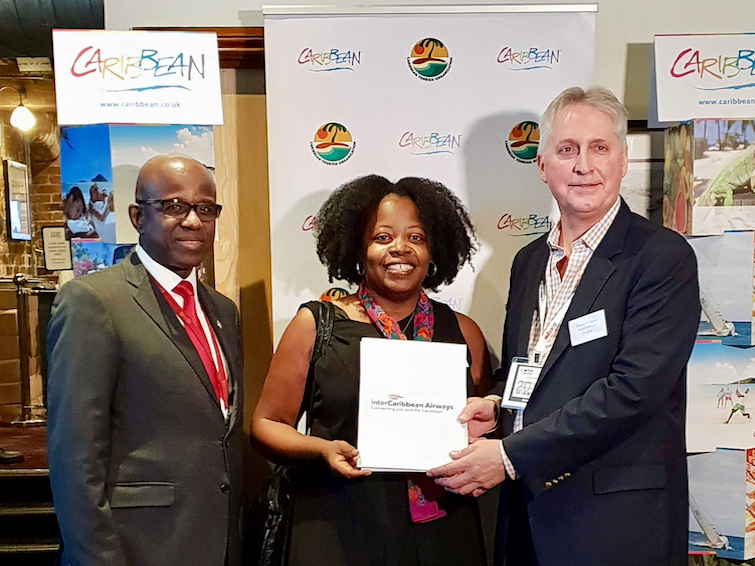 Campaign and Best Caribbean Roundup Award for an insightful article titled 10 Facts About the Caribbean Region. 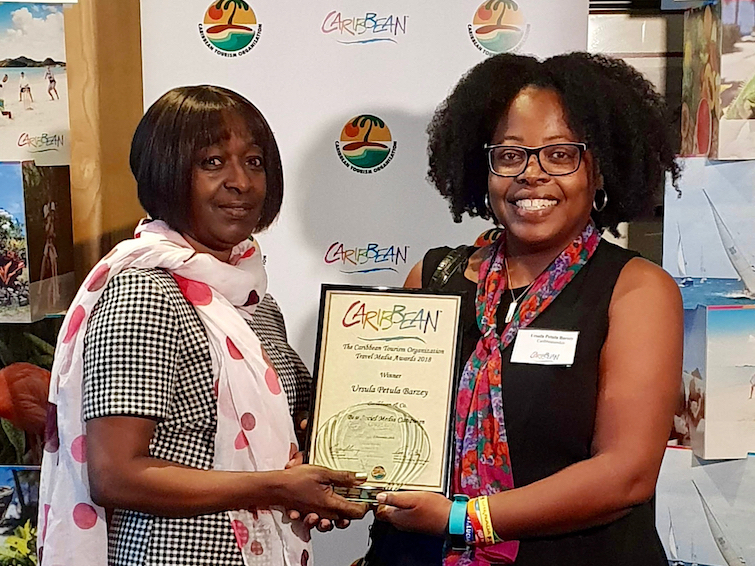 The third award scooped by Caribbean & Co. was the Best of The Best Award from the 130 entries for consistency in producing outstanding content about the Caribbean. Hay, Director of Marketing UK & Europe, Caribbean Tourism Organization. Carol Hay, Director of Marketing UK and Europe, Caribbean Tourism Organization who was host for the awards ceremony attended by 60 members of the UK media along with visiting Caribbean Ministers, UK CTO Chapter Members and Caribbean partners states: “The standard of entries this year was extremely high and I was pleased to note such highly engaging and informative articles, digital and non-digital, as well as great video and photography. On behalf of the Caribbean Tourism Organization, I would like to congratulate all the finalists, especially our winners and our 2018 overall winner, Ursula Petula Barzey. Director of Sales UK / Europe, St. Vincent and the Grenadines Tourist Office. The judges’ notes indicate: “Not a typical island by island or specific island piece, but a great detailed background of the Caribbean to enthuse travelers to refine their travel search. 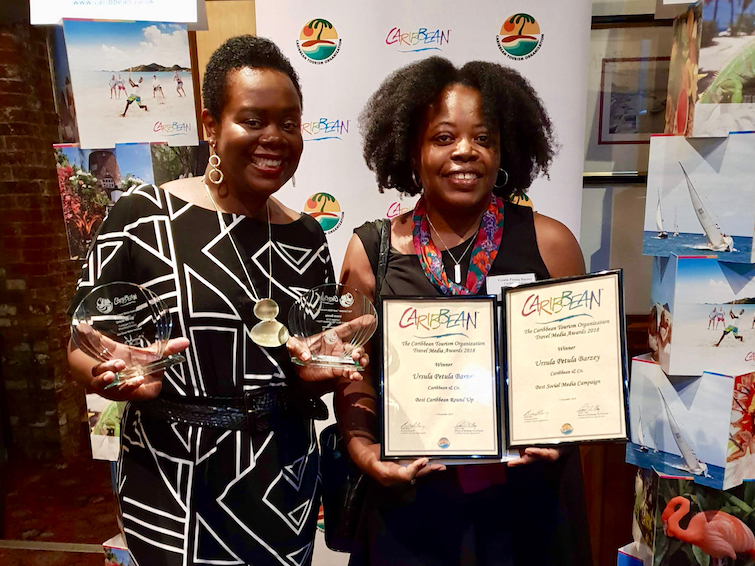 In addition to winning these three 2018 Caribbean Travel Media Awards, earlier this month Ursula also won the Most Impactful Influencer Award from the Grenada Tourism Authority for her engaging and wide-ranging social media and blog posts as part of the #NextStopGrenada campaign seen by over 400K+ people on Caribbean & Co. blog and social media channels. Caribbean & Co. is an award-winning digital platform and blog focused on becoming the ultimate guide to Caribbean travel and luxury lifestyle for tourists and investors from across the region as well as in new markets across the globe. The website launched June 2014 is primarily visited by men and women between the ages of 25 – 54 who are interested in finding out about things to do and where to stay while in the Caribbean. An increasing percentage of Caribbean & Co. readers are also thinking of purchasing a second home or investing in the region and are looking for insight on where in the Caribbean they should consider. Great news and congratulations to Ms. Barzey!